This is kind of rapid reaction blog, as this only came down last night. Here are the facts. This summer Houston, under the leadership of Mayor Annise Parker passed a new ordinance, labeled HERO, which extended protections to gay and transgendered individuals. The main sticking point in the ordinance was that any individual could choose which bathroom they can use in a public facility–men can use a women’s restroom if they self identify as female and women can use a men’s restroom if they self identify as male, regardless of their anatomy. As you might expect, many in the Christian community were opposed to the bathroom provision and were vocal. In late summer 50,000+ people signed a petition to put the issue on a referendum in the November 4 elections. The city attorney rejected the petitions, citing ‘irregularities’ in the signatures. UPDATED INFO: Some of the area pastors filed suit contesting the city’s decision regarding the signatures. Tuesday evening (October 14) the city council subpoenaed sermons from specific pastors who had been vocal in their opposition. Apparently, the reason for this subpoena was to determine if the pastors had violated the laws about discrimination to discover the validity of the petition process. Now, here is the problem. As far as I am concerned, most of this is just politics. Elections do matter, and the mayor and city council won their elections and therefore were pushing their agenda, and those who opposed her were pushing theirs. That is the way a free society works. Government agencies targeting topics and issues for review is chilling. It is horrific. This is the path to despotism. For the record, I would feel the same way if a government agency were requesting the speeches and topics discussed at GLAAD meetings, mosques, or any other place where speech takes place. This particular issue is more troublesome because it violates not only freedom of speech but also freedom of religion. Sermons are protected speech, like a newspaper editorial, and it is a protected religious practice free from government intrusion or meddling. If the government can target any kind of speech, it is not a big leap at all to target any kind of speech. Now, let’s get to the why of all of it. Is Parker going after these people because she is gay and they represent the Christian right? I don’t think so. She is going after them because they had the audacity to oppose her. She has a record of doing this. Texas Monthly had a great article recently (CLICK HERE TO READ IT) about her attack on the Houston Fire Department, particularly its pension plan. She went after them because the firefighters union backed her opponent in the election, and she is using the thuggery of the jackbooted tolerance police to do her dirty work. That is the kind of politician, the kind of person, she is. I hope the city of Houston finds out that a practitioner of Nixonian politics is leading their city. One thing I think important to add, if I gather the facts correctly, is that these subpoenas flow from a lawsuit: the City rejected the signatures, thus barring the matter from coming up in the polls, and the opponents of the bathroom bill then sued the city. Subpoenas of third parties (such as pastors who are not part of this lawsuit) are not uncommon (I have issued them myself), and I don’t think this is a freedom of speech issue (although it may be a freedom of religion issue, which I’ll mention more in a moment): after all, the pastors are not being restrained in their speech (not yet anyway). It is, however, problematical in a way that, if they are competent, the plaintiffs in this lawsuit should be dealing with right now by opposing the subpoenas. These subpoenas, as you can gather from the news stories, ask for everything. I’m hardly putting that euphemistically. They demand “[a]ll speeches, presentations, or sermons related to HERO, the Petition, Mayor Annise Parker, homosexuality, or gender identity prepared by, delivered by, revised by, or approved by you or in your possession” as well as “[a]ll communications with members of your congregation regarding HERO or the Petition.” A subpoena should be tailored to the needs of the litigation: it should be relevant, and it should not overly burden the person to whom it is directed. That expansive request is ridiculous and grounds enough to object to the subpoena. So is the question of relevance, I suspect. The question is (again, if I gather the nature of this lawsuit correctly) whether the issue should be certified for the ballot. The City attorney seems to claim that the signatures fell short on account of irregularities. So what does he hope to find in this massive subpoena expedition? Proof that ministers told their congregants to forge signatures? It’s quite ridiculous. My googling also turned up the fact that Texas has a Religious Freedom Restoration Act (a name that should be familiar, since a Federal law of the same name was at the heart of the Hobby Lobby case), and that brings religious freedom into play. Perhaps these subpoenas also violate Texas law with respect to the freedom of religious conscience. That could be a bit tricky, if the subpoenas were for materially truly relevant to this case and not otherwise protected (and the list of expressions clearly protected from subpoena is quite short), but it’s a possibility. Nonetheless (and please forgive the lengthy clarification on those details), I am in complete agreement that this comes off as little better than thuggery. I hope the plaintiff attorneys prevail in quashing the subpoenas. If the City wants to put together evidence in the case, the City’s attorneys should do so ethically and reasonably, and this is neither. virgil, i love lengthy clarifications. i’m a theologian, right! thanks for the legal inside information, because that is an aspect of this issue that i don’t firmly have my arms around. i knew that there was a lawsuit regarding the rejected petition, but i didn’t quite grasp that the recent brouhaha was related to that lawsuit. i am pretty sure that lawyering up is going on right now on the side of the pastors. i also agree that there is a right way and wrong way to do things. i don’t mind her pushing her agenda, that is what politics is. what bothers me is the attempt to intimidate and silence opposing voices. what needs to happen is political, though. if the city doesn’t punish her and the council at the ballot, then she will only continue these outrageous tactics or others like her will do so. thanks for reading and commenting. She cannot run for mayor in the next election anyway.. this is her third term and she cannot run anymore because of term limits as I understand it. Saying she has to be punished at the ballot (as far as her running for mayor) is a non issue since she cannot run again for this position here… A pro bono law firm requested the subpoenas. Not the mayor herself. She says she had no idea until yesterday that they (sermons and communications regarding the petitions) had been asked for. This whole thing is being blown all out of proportion to further the ends of those opposed to HERO. The intent of the subpoenas is to find out who might have been encouraging people to sign the petition in question in a fraudulent manner. That is what lawyers do to defend their clients. Blame the lawyers if they were to broad in their subpoenas. I do not know why they (the lawyers) do not step up and explain themselves and are leaving the mayor out to dry. Well, I kinda do really. It is pretty obvious they are hiding out from the backlash. thank you nightiscometh for reading and commenting. you bring up some valid issues. first, yes, she cannot run for mayor again, but i think the fine folks of houston will see her name again on a ballot–for some other office. i am not intimately aware of the interworkings of the city council of houston, but i wager many of them are up for re-election, if not this year then next. the point though, that i was trying to make, is that these are political issues and elections matter. the real place to send a message is not how outraged people are on FOXNEWS or the interwebs, but to put democracy in action. second, i think, and i could be wrong, but i think it was the city’s mayor who requested the subpoenas as a part of the lawsuit by some of the pastors over the rejection of signatures. it wasn’t the mayor herself, but it was her administration that requested them. third, i do think it it is a big deal because it is such an egregious overreach by a government into the religious lives of many americans. as i said in the blog, i would defend, and have defended, the exact same overreach if it were directed toward other religious groups or even other types of speeches made by groups i do not align with. again, thanks for reading and commenting. Well, this is distressing. 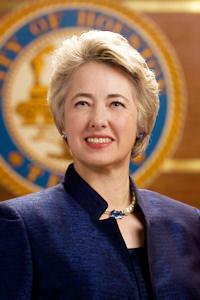 And if Annise Parker imagines that she is help the cause of gay rights, I think she will prove wrong. It serves to make those who were undecided about the issue less likely to take her or her positions seriously. She is not only politically ruthless she is incompetent in political stategizing. Unless there are darker forces at work, more subtle schemes that I don’t see.